As the Zen saying goes, we purify our minds in community, as potatoes in a bucket become free of dirt by bumping against one another. This process is effective, though not always comfortable. Most of us in the West—indeed, perhaps everywhere—have deeply ingrained habits of placing our own concerns and interests first. We tend to carve out comfort zones where our egocentric attitudes reign unchallenged. Emotional growth stagnates, and the cultivation of compassion and related qualities is often stunted in such infertile terrain. Community life prepares very different sort of ground, rich for spiritual exploration and fruitful inner work. 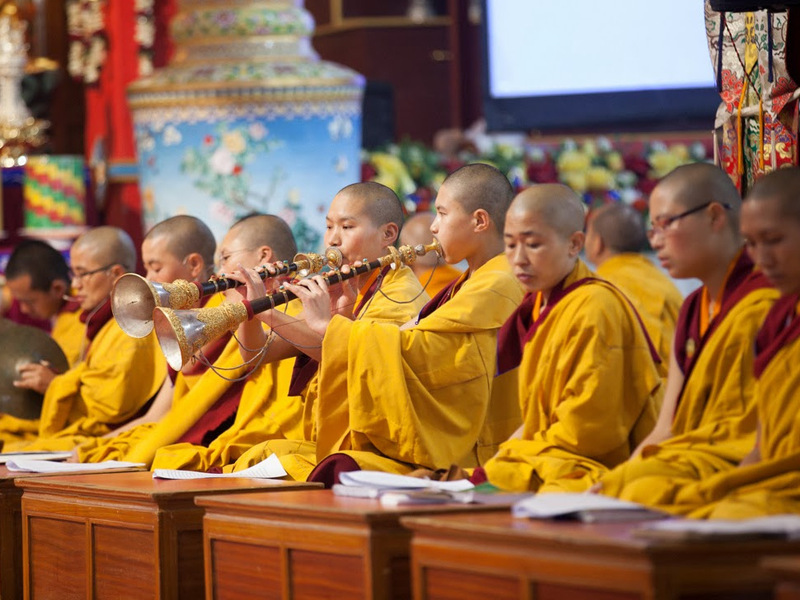 It has not always been acknowledged how great an emphasis Buddhist monasticism places on community life. 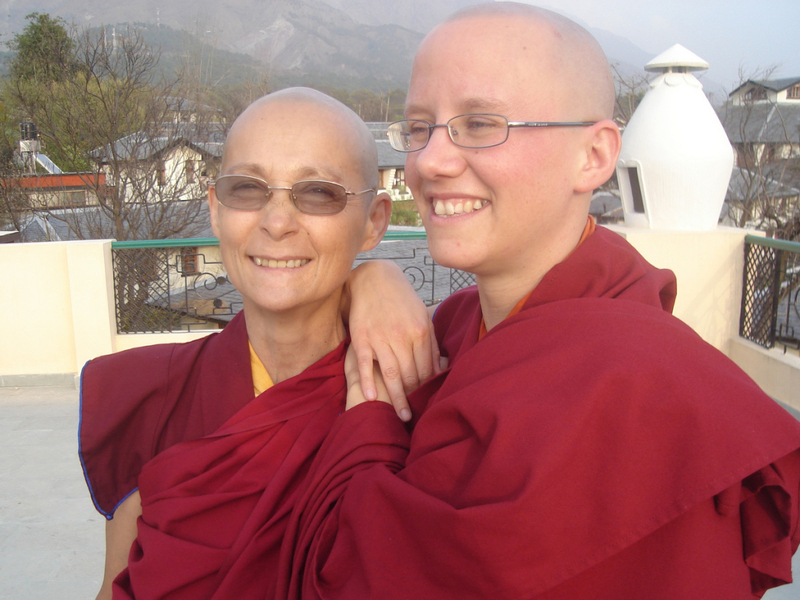 The community not only provides external conditions such as formal training and practical support for monastics. More importantly, it provides excellent conditions for the intense inner work of cultivating qualities of patience, generosity, kindness and compassion, as well as recognizing and transforming difficult emotions such as anger, jealousy and attachment. 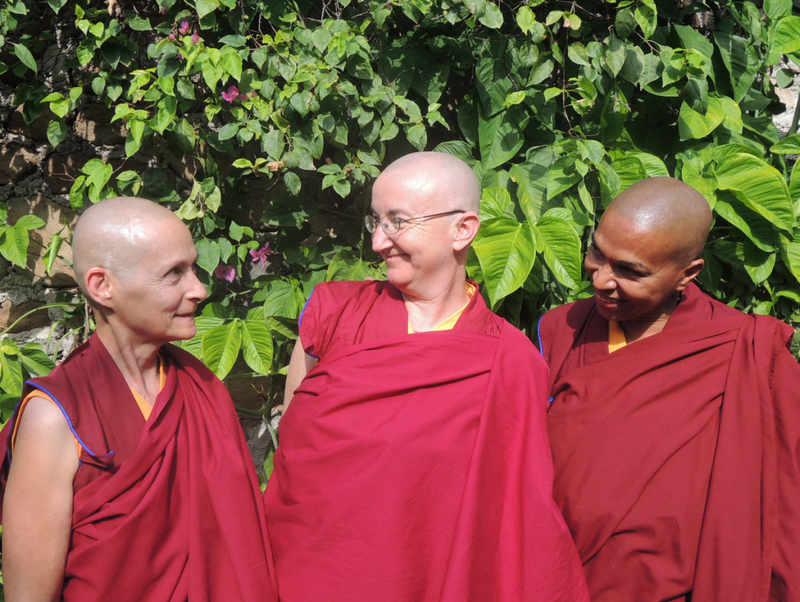 In this same spirit, Dharmadatta Nuns’ Community places at the heart of spiritual life the slow and steady work of transforming problematic emotions and nurturing positive qualities. Each nun serves as a mirror for the others, as we each seek to grow while learning to serve as a condition for the growth of others. When there is a mutual and sincere commitment to growing together, both potatoes come clean through the same process. 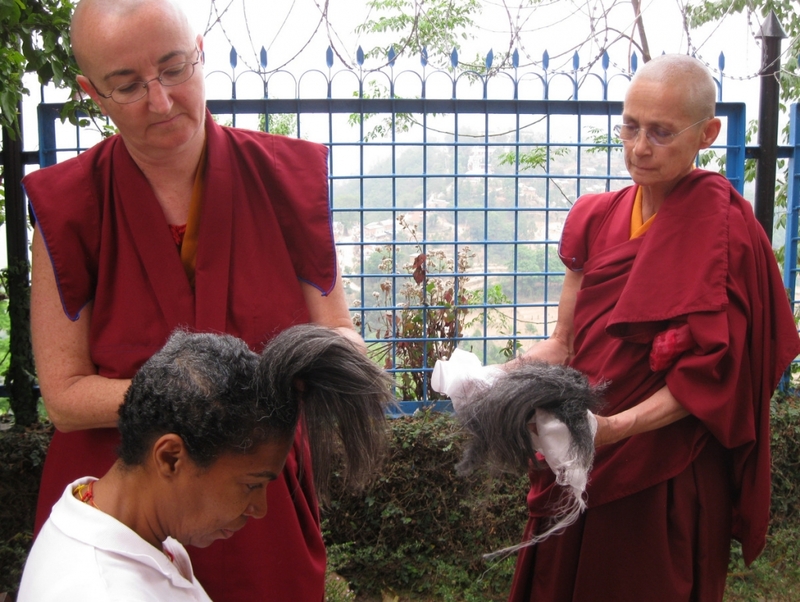 Whether through group practices, personal meditation practice, through service to others or through the simple give-and-take of daily life, monastic life in community provides endless opportunities to live these principles. Indeed, the Buddhist monastic path is appropriate for those who truly wish to practice Dharma in every moment and aspect of their life. It offers exemplary conditions to test and reinforce one’s determination to emerge from cycles of attachment and confusion. However, such intense and persistent work in community is not advisable for everyone, nor is the monastic path suitable for all. Such practice demands a profound level of renunciation and a stable and sincere motivation to make use of every moment of this life to awaken from one’s own confusion and be able to help others in their wish for peace and wellbeing. Working continuously with one’s own complicated emotions demands a certain stability and self-confidence—two necessary qualities to be able to transform our difficult emotions in a way that can be sustained until we reach our aim: liberation from self-clinging and achieving our fullest capacity to be of genuine benefit to others. The community in which each nun serves is both our monastic community and wider society. As our community’s connection to the Spanish-speaking world has intensified, we have sought to integrate opportunities to serve others into the rhythm of our community life. 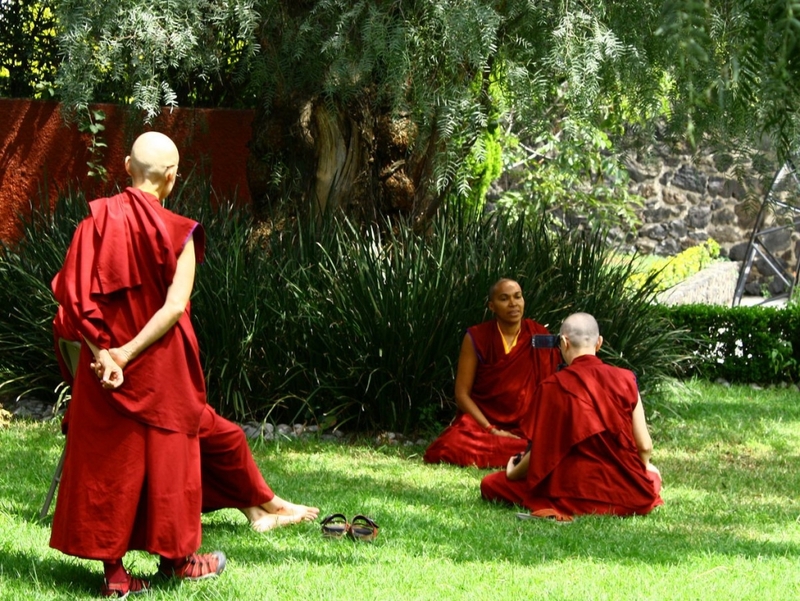 We share tasks in leading retreats, create online curriculum as a team and seek to remain mindful that of our great fortune in having such opportunities to serve in the Dharma. Whatever we do, and wherever we find ourselves, we are committed to moving together toward our shared spiritual goals. We may not always be comfortable, but we are sustained by the subtle joys of spiritual life and by the satisfaction of being able to support others along the way. We walk the path side by side, potatoes cleaner with each jostling step.